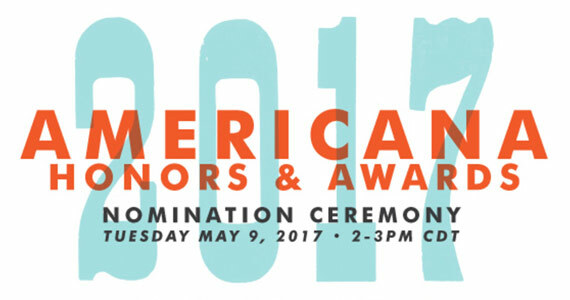 The 2017 Americana Honors & Awards Nomination Ceremony will be streamed live on Tues., May 9 from the Country Music Hall of Fame and Museum’s Ford Theater. The event will feature an intimate musical celebration featuring hosts The Milk Carton Kids, with special guests to be announced. Visit countrymusichalloffame.org/streaming starting at 2 p.m. CT to share this special afternoon. The Americana Honors & Awards will be held Sept. 13 at Nashville’s Ryman Auditorium.